I wanted you to know that although I’m not great at expressing myself and I’m a man of few words, my heart’s always understood and felt everything (between us). Thank you so much. Now, I’m going to answer some of your questions. I’ve chosen a few from the questions you’ve sent me. What if I hadn’t been a celebrity? I think I would have become a lyricist, or maybe a writer…? Hm.. I think so, yes. A lot of you asked me what kind of food I’ll miss when I’m in the training camp, and Jaejoong told me that whatever you eat while you’re there will taste delicious. I don’t think I’ll miss a certain dish or anything while I’m there.. Regarding the question about what production I want to work on when I get back from the military, hm.. I had a drink with (Seol) Kyung Gu recently, and I told him that I really want to film a movie with him when I get back. I really want to work with him because he’s an actor I have so much to learn from, and he’s always been so warm and kind to me. The person I’ll miss most will always be my father. I’ve never stopped missing him because the older I get and the more responsibilities I have, the more I want to meet with him and ask him questions, but he’s not here. The assignment I leave for my fans while I’m gone is health and happiness! I want to learn Chinese and I want to read a lot of books. Now, I think I’ve answered enough questions, right..? Our Jaejoong… he said he wanted to apply for leave and see my face for the last time before I go, but we ended up just talking on the phone. I want to tell him how proud I am of him, and Junsu, my member and friend who I really like, I know you’ll feel lonely by yourself but be strong and keep going. omg, ikr. i started to tear up at the father part, and then when he started to mention jj wanting to take leave to /see/ his face, i just omg, i just died. 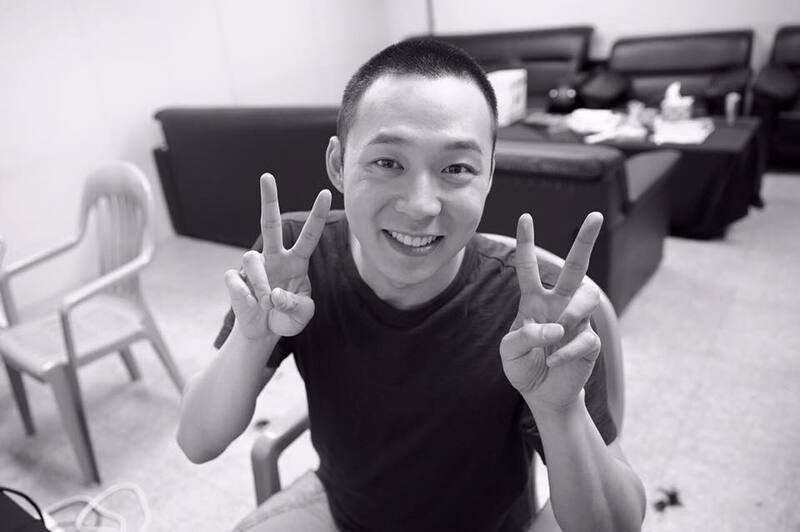 i like yoochun like this. it's cool.